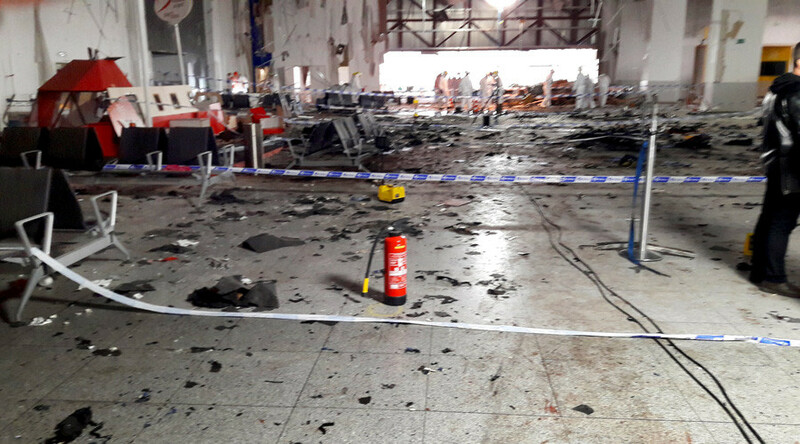 At least 50 supporters of Islamic State (IS, formerly ISIS/ISIL) are currently working at Belgium’s Zaventem Airport, which was rocked by suicide bombings last week, local media have reported, citing airport security officials. These radical group sympathizers “have a security badge and can get into the cockpit of an airplane,” Nieuwsblad newspaper reported, citing an open letter from airport security. “In the past, [the authorities] revoked the badge of a number of people because they sympathized with ISIS. But clearly not everyone. Especially in the shops, cleaning services and luggage services,” airport police said. According to the officers, anyone can walk into the airport, even those who have a criminal record. "For us it is clear that the terrorists, with the help of their spies, tested the safety of our airport screeners before taking action," the letter said. On March 22 Belgium was rocked by several suicide blasts which were later claimed by Islamic State. The explosions took place at Brussels’ Zaventem Airport and at Maelbeek Metro station, close to EU buildings. The attacks left 35 people dead and over 270 injured. The Belgian prosecutor identified two suicide bombers as brothers Khalid and Ibrahim El Bakraoui. According to Belgium’s RTBF public broadcaster, both brothers, residents of the capital, were known to police for links to organized crime, but not for terrorism. Ibrahim El Bakraoui is believed to be the suicide bomber behind the Zaventem attack, according to the Belgian prosecutor. One more suspect in the airport attack was reported by Belgian media to be Najim Laachraoui. Born on May 18, 1991, he is a native of Schaerbeek, a municipality located in the Brussels-Capital Region of Belgium.